Today’s readings describe conflicting notions of salvation, forgiveness, sin, punishment, and responsibility. In Jeremiah, we are told that the old covenant of Moses depended on an intermediary, at first Moses himself, and then 70 elders. What we, the people of Israel, knew about God (YHWH) was handed down from God to this intermediary person, then persons. God’s word was enjoined on his people in the form of commandments and laws. Breaking these demanded punishment of some sort, cause and effect. Therefore, it was up to the Levites, the elders, and the teachers to make sure God’s people were given the proper instruction to keep them from sinning. And then the prophet Jeremiah is called upon to prepare the house of Israel, and the house of Judah, for the coming of a new covenant, one that will not need to be handed down. All people will know God, from the least to the greatest, without needing instruction. In the Responsorial Psalm, we already see that this had been introduced to the house of Israel by David as he wrestles with his sins against the law and his people. David is asking for direct knowledge from God, but then he says he will teach transgressors and sinners will then return to God. Just a hint of what is to come after the Passion and Resurrection. Finally, John describes Jesus presaging for us the cost of eternal life: direct salvation, but perhaps at a physical cost that should mean nothing to us if we hate life in this world. All through the Old Testament we find varying visions of the good life, life eternal, abundant life, and the consequences of straying from the law. There is direct communion with God as we are instructed, but there is also an intricate path that has been laid out for us, interpreted for us, which we deviate from to our peril. And don’t we all, even today, think that there is merit in this way of accessing God? We fear the fires of Gehenna and sometimes avoid sin by remembering the consequences. But Jesus told us time and again that we are already forgiven. All we need to do is acknowledge it. Of course part of that lesson is to remember that we must love our neighbor as our self. It’s just that at times, we think the burden is not light and we may resent that salvation is there for us. It’s up to us to make sure we admit it. This is where I sometimes fall into the trap of thinking that there is bargaining involved. If I do this, this is the reward. If I fail to do that, there is a punishment. It’s still childish thinking. “If I pray hard enough for (something) God will grant it to me.” That’s a struggle! And unnecessary. 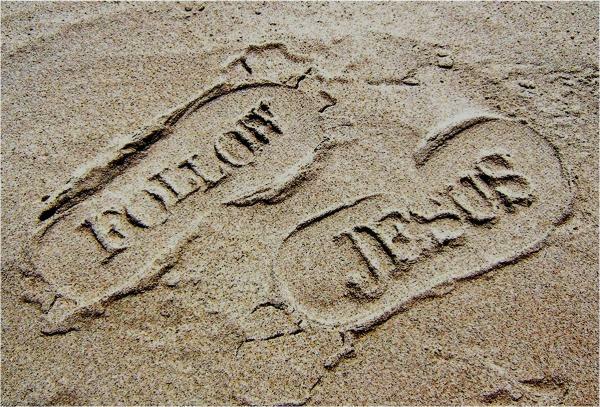 And so, as I see in today’s readings, sometimes I follow the right path, and sometimes I traipse down the rocky road. Why do I do that? Why do we do that? Sometimes the stumbling helps us to remember to get out of the rocks and onto the soft grass. But the time of Lent also helps us to remember to get off the rocky path, out of the weeds, and onto the springy turf. One way to do this is to take the positive practice that we perform during Lent, such as reading all the Liturgy of the Hours every day and bring it into our daily lives. What is it that you have taken on in addition to your abstentions, that thing you do proactively? Perhaps you can make it a daily practice. Lord, as we come to the end of our Lenten observance, help us to follow you, because we truly want to serve you. And help us to remember that you have shown us the way, though we may have to recall it day by day.